Friday was crazy and Bella was exhausted and asleep by 10 p.m.
We had a great time trick or treating and celebrating with friends. 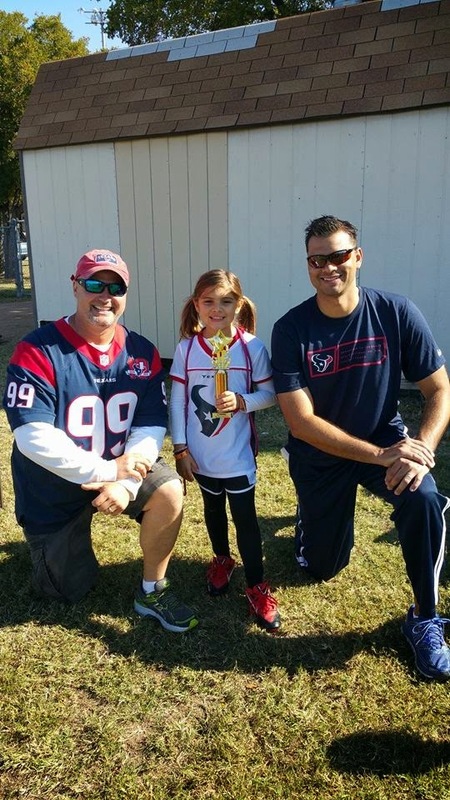 Saturday morning Bella had her playoffs for flag football. They played their hearts out and Bella almost made a touchdown! We were so proud, but unfortunately they lost 14-12. Tough game but the Texans did amazing and we're so proud of them! She's already talking about playing again in the Spring! 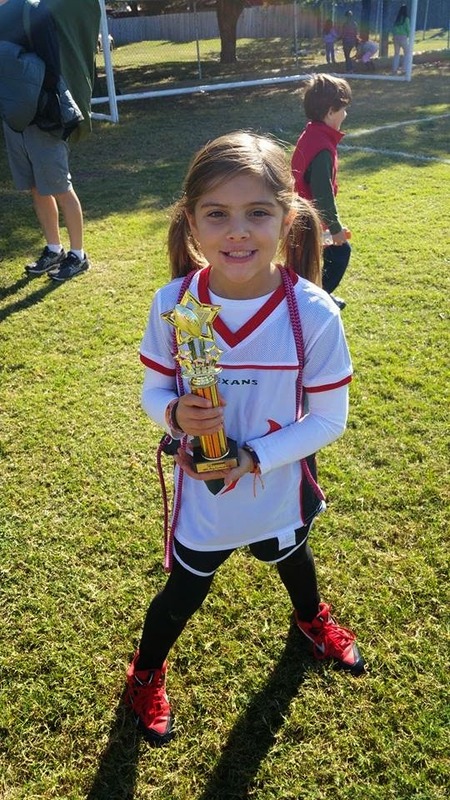 My sweet girl was so proud of her newest trophy! All her trophies are proudly displayed on our mantle. Sunday we relaxed and enjoyed the beautiful weather. Bella wasn't feeling 100% so we got her into the after hours doctor and got her on some antibiotics. By the end of the day she was still moving slower than normal, but feeling much better. It was super chilly out all weekend (God Bless America it is finally not sweltering!) 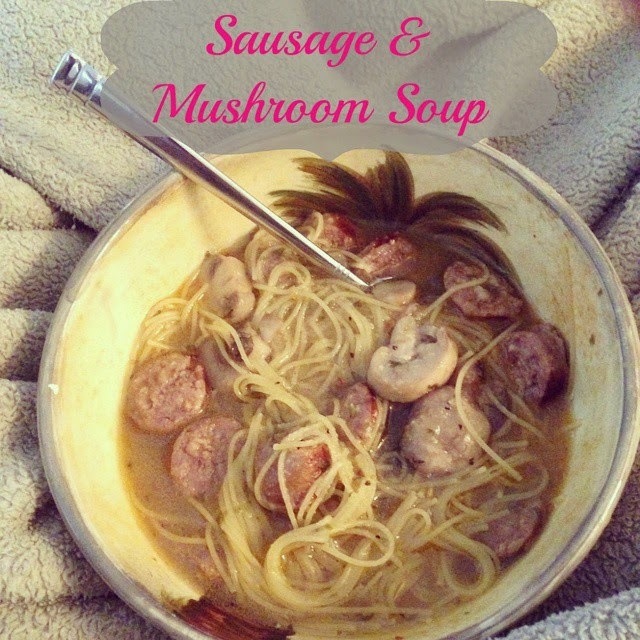 so I made my mom's Sausage and Mushroom soup for dinner. It was delicious and a perfect way to end the weekend!